AVALON — In her collection, Carol Highsmith has tens of thousands of photographs of lighthouses, buildings, parades and iconic historical landmarks that may not be around 100 or more years from now. Her objective is to document these sights in all 50 states. That quest brought her and husband, Ted Landphair, to Catalina Island. The photos she takes here will be featured in a permanent collection in the Library of Congress and will be included in the Library of Congress’ Prints and Photographs Online Catalog. The images will be available for download. Highsmith, who began her quest four years ago, was drawn to the island after hearing the lyrics of the “26 Miles” song performed by the Four Preps. The future of the island was another reason she decided to photograph Catalina. 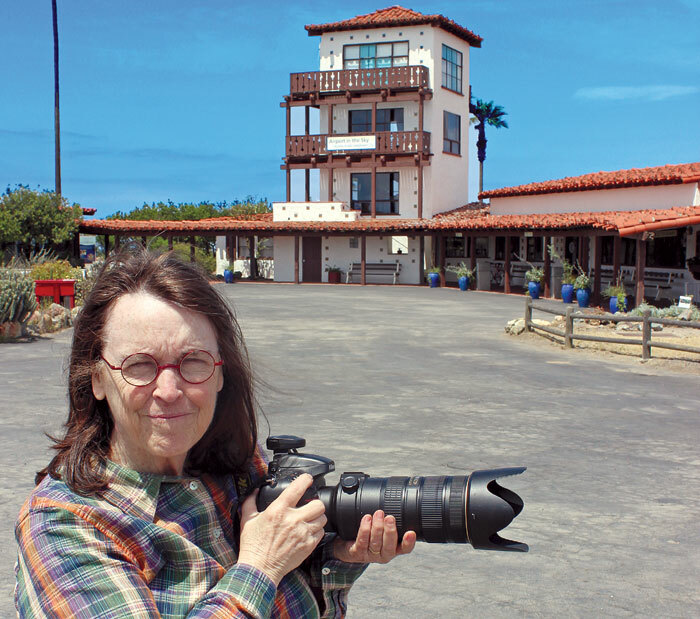 On the island, she captured the less-visited wild interior, also capturing how the Catalina Island Conservancy balanced conservation, education and restoration of the island, and the conservancy staff. She photographed Thompson Reservoir, Middle Ranch, Eagle’s Nest Lodge and the Airport in the Sky. Highsmith visits an average of three states a year. Her collection can be found at carolhighsmithamerica.com.